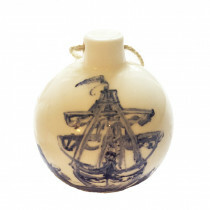 Nicky Blaize is an artist and designer-maker specializing in fine ceramics. 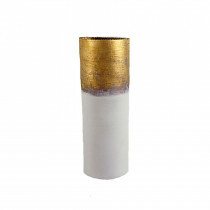 Her studio is based in Stoke-on-Trent, Staffordshire, the traditional heartland of the UK ceramics industry. 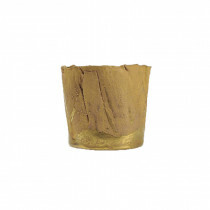 Nicola offers specialist, bespoke pottery that is designed and created with ecology and sustainability as a priority. 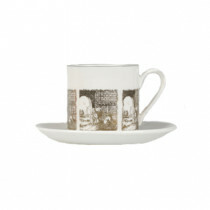 Each piece incorporates local heritage and skilled craftsmanship. The highest quality materials are used to produce outstanding ceramics. Why did you become a designer-maker? I became a designer maker because I love making, and all the stages involved. Main influences are the natural world, ecology and femininity. The unknown aspect of ceramics; you make so many decisions, but when you close that kiln door it’s out of your hands. It still feel like Christmas day before opening a kiln! What would you say is important to you when it comes to designing? Understanding processes and the materials qualities you choose to use. And when it comes to choosing materials? When choosing materials I feel it’s important to have empathy with the materials. Can you describe from beginning to end how a piece, selected by you, is made? Describe where the design concept came from, what influenced you, how you decided on the materials or colour, what processes did you use etc? (a) rolling out the bone china to the point where it’s just about possible to handle; using fabrics to create a fine impression, as if it’s a canvas . (b) When bone china is rolled a cracked edge naturally forms, I select an area with most interesting edge, and cut out to size that to fit one of the plaster blocks. (e) Firing stage: bone china is usually placed on setters to stop it from distorting during firing at high temperature between 1260-1300 .I consciously don’t use setters wanting the material to find its own form . (g) Imagery is applied using a mix of Oxides natural pigment copper, cobalt, iron in powder form. These can be fired to high temperature . Copper lustre is hand painted onto a surface. What do you think makes you different/ unique from other makers within your genre? 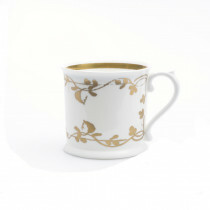 The use of bone china in an unrestricted way is unusual; using all the same material and techniques as would be used in industry but producing an item that is unique. 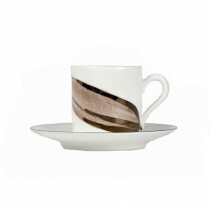 The majority of bone china is used for tableware production and tableware has to have no flaws to be valuable. Bone china used to be highly prized , for its pure white and translucent quality which is obtained by use of animal bone, a by-product from the meat industry. I use this material to create items I would like to be prized and cherished as the animals that have gone into to making this material. 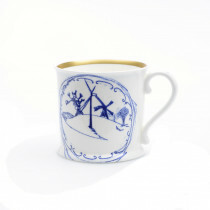 Today in the UK bone china is very common place. I aspire to make pieces that, although not perfect forms. are, because of their variation. treasured and prized. From all your pieces which is your favourite and why? Lily vessel with wild horses on interior, as for me, it sums up the few rare people you meet who have made a conscious decision not to conform, to find their own way and take the consequences. What are the benefits of being a maker? Freedom to follow you own instincts. When it goes wrong you have to admit it and start again, it can be very lonely. School was always tough being dyslexic, as most artistic people are. Its quite a battle! One teacher in infant school read Tolkien and adventure books and encouraged us to use our imagination, her name was Mrs Moss . Describe the commissioning process you employ. What aspect do you enjoy most and which do you fear the most? Commissioning is always exciting, I enjoy getting involved in making something that someone else has visualised and wants to make reality; biggest fear not getting right! What do you enjoy doing apart from designing and making ceramics? I enjoy good food, small everyday pleasures , travelling, trying new things, being inspired by different cultures. If you weren't a designer/ maker what would you have liked to be? I love history so would like to have been an archaeologist . I studied fashion after leaving school, so I was a fashion Designer early on and made everything from a three piece suit to covering a three piece sofa.